She is like a 16th century female version of Rodin’s “Thinker”, with apowerful body and thoughtful expression but dressed like a figure from antiquity. 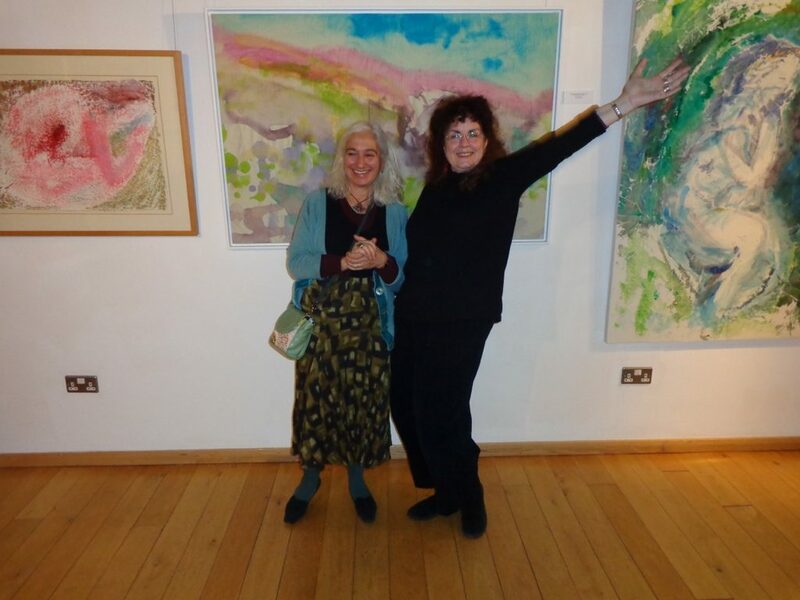 In preparing the work for the current show and in discussions with my friend and fellow artist Amanda Dean, Sappho and her poetry became a symbol and an inspiration. 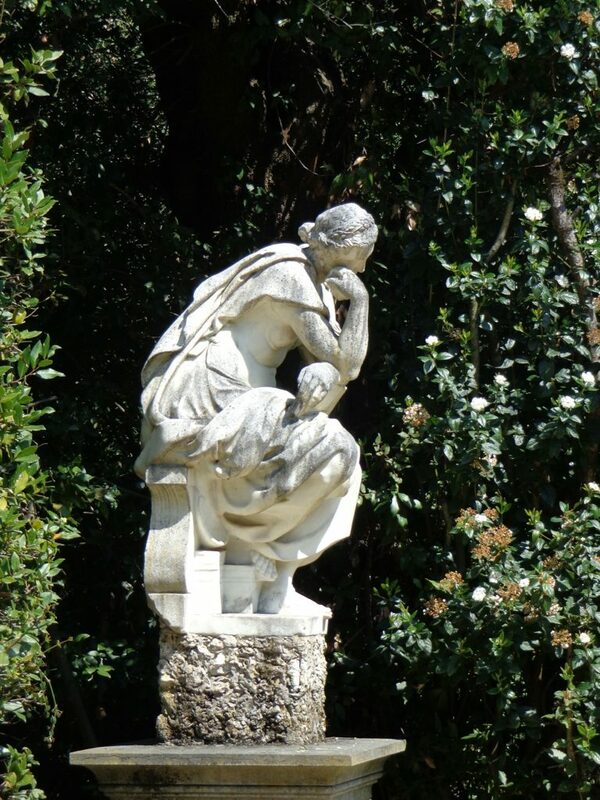 By coincidence, I had long been fascinated by a sculpture in Boboli Gardens in Florence of a pensive woman seated with a writing tablet on her knees, her chin propped on one hand which holds a scrunched up rag for rubbing out and reworking her writing. So, I have always thought of her as “Sappho”, the seventh-century B.C.E. poetess who lived on the island of Lesbos and wrote in a Greek dialect of the eastern Mediterranean words which speak directly to us today. 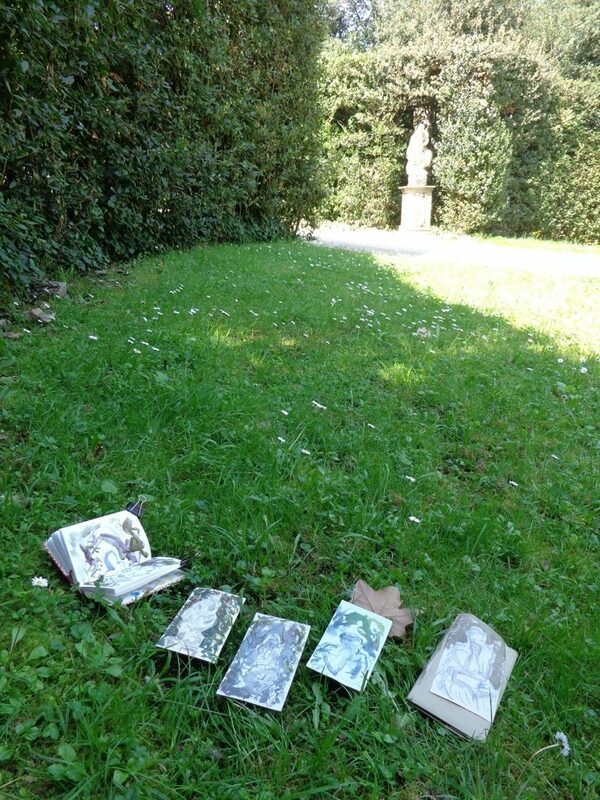 I have drawn and painted her in the green setting of the Italian garden, seeing in her reverie an echo of Andrew Marvell’s description of “a green thought in a green shade”. 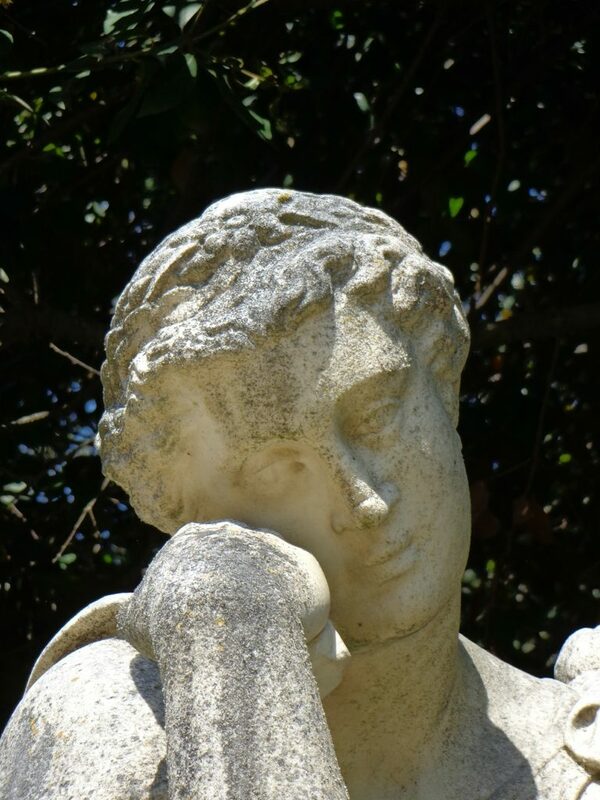 Sappho’s contemporary translator, Willis Barnstone, states:”In Sappho we hear for the first time in the Western world the direct words of an individual woman. It cannot be said that her song has ever been surpassed”. When we were preparing the exhibition in the middle of an endless winter in England, thinking about how it would be winter once again when we would have our exhibition in Burgh House, looking for a mood, a theme to unite us and responded to Sappho’s poem that begins “Leave Kriti and come here to this holy temple”, the words from across the centuries, spoke intimately and to all the senses. 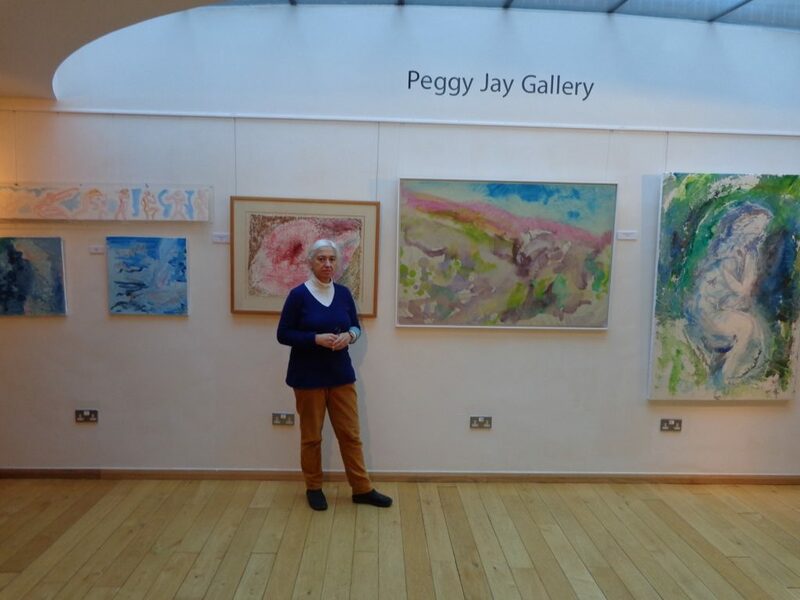 Her frankness, generosity of spirit and words that convey the painful beauty and joy of living, have been in my mind as I have worked on the exhibition.